Here is what Mar Thoma purportedly brought – small stone cross of the design in the pictures below. Probably he also brought a small picture of Holy Mary and a copy of the bible. The picture is an actual photograph of the bleeding cross at St.Thomas Mount, which is an interesting topic and the subject of another post. If the reader is new to Syriac and Malayalam, here is a short primer, a Syriac-Malayalam 101, if you will. Granted, it is going to be hard, but it won’t kill you, and I will keep it real short. Here you go! I grew up speaking these words and other similar words of Syriac with effortless ease just like the mother tongue. I have even heard that St. Thomas brought a small cross of this design, a picture of Holy Mary and a bible with him! However, I personally think those are only myths. Almost the entire New Testament was written after Thomas’s landing on the shores of Kerala, if the landing was indeed in AD 52, Only the first Pauline epistle to Thessalonians predate AD 52! So if at all St.Thomas did bring any part of bible, it must have been the Jewish books. The best explanation for the St. Thomas Cross and the legacy of St. Thomas is found in this Wikipedia article. Here is the relevant excerpt from the article. 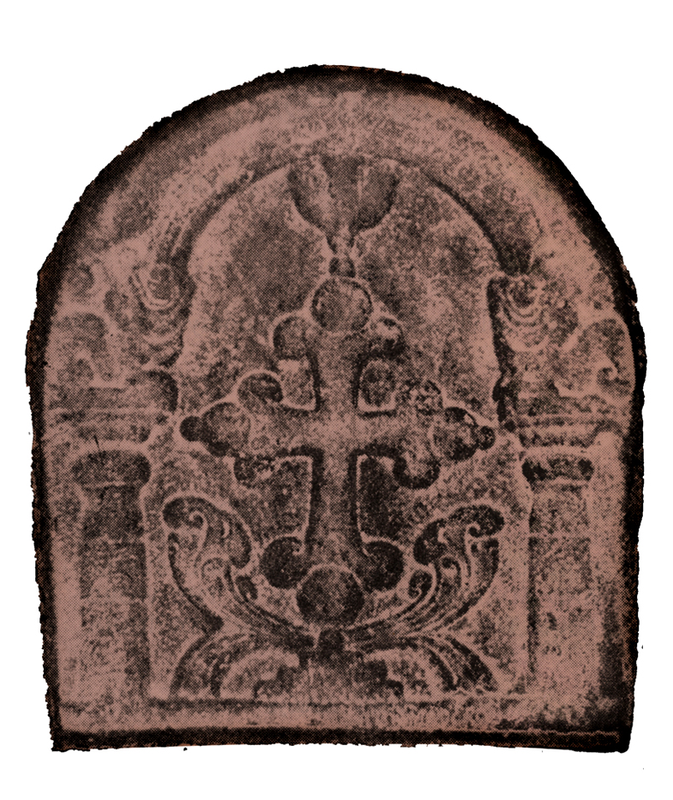 In the 16th-century work Jornada, Antonio Gouvea writes of ornate crosses known as Saint Thomas Crosses. It is also known as Nasrani Menorah or Mar Thoma Sliba. 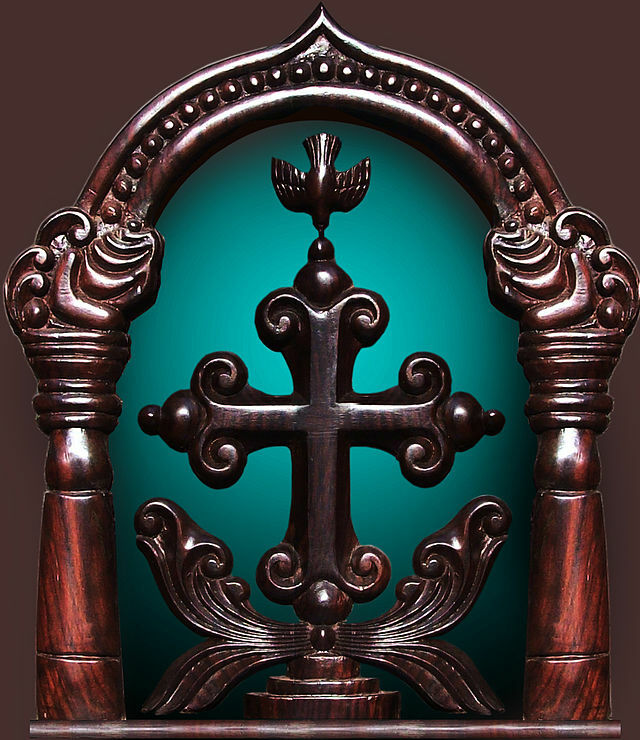 These crosses date from the 6th century and are found in a number of churches in Kerala, Mylapore and Goa. Jornada is the oldest known written document to refer to this type of cross as a St. Thomas Cross. Gouvea also writes about the veneration of the Cross at Cranganore, referring to the cross as “Cross of Christians”. It is widely perceived as the symbol of Saint Thomas Christians. There are several interpretations of the Nasrani symbol. The interpretation based on Christian Jewish tradition assumes that its design was based on Jewish menorah, an ancient symbol of the Hebrews, which consists of seven branched lamp stand (candelabra). The interpretation based on local culture states that the Cross without the figure of Jesus and with flowery arms symbolizing “joyfulness” points to the resurrection theology of St. Paul; the Holy Spirit on the top represents the role of Holy Spirit in the resurrection of Jesus Christ. The lotus symbolizing Buddhism and the Cross over it shows that Christianity was established in the land of Buddha. The 3 steps indicate Calvary and the rivulets, channels of grace flowing from the Cross. The fact of the matter is that the following picture is the symbol of St. Thomas Christians today. It can be found in every ancient and modern St.Thomas Christian church, if not as an exact copy, at least with the important features of the floral arms and no effigy. The Kaviyoor Sleeba Church, the church of the family members from inception, is one of the very few churches that are named after the symbol itself. Kaviyoor Sleeba church uses the spelling ‘Sleeba’ and that is how I used to spell it. There are alternate versions of spelling such as Sliva and Sliba, all meaning the same. However, I personally prefer the long voiced version ‘Sleeba’ for two reasons. One, ‘v’ is not pronounced in the mainstream Middle Eastern languages, so that could not have been the Syriac original, and second, the way the word is spoken by native Syrian Christians like me is with a long vowel, not the short one. It is a wonderful artistic amalgamation of Jewish, Christian and Budhist symbolism and whoever first created it deserves the praises. The artist is unknown, although there are some inscriptions that read the names of Afras and Shapper as the stone cutters, and the city of Nineveh (place in Iraq) is referenced. If the reader likes to know the nine places where the exact copy of the symbol can be found and the scholarly interpretations of the inscriptions, click this link. One of the interpretations is very apt.